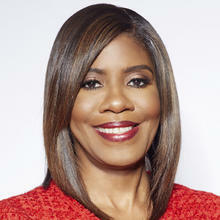 Patrice A. Harris, M.D., a psychiatrist from Atlanta, Ga., was elected as the new president-elect of the American Medical Association (AMA) today by physicians gathered at the Annual Meeting of the AMA House of Delegates in Chicago. Dr. Harris received her medical degree from the West Virginia University School of Medicine and completed a psychiatry residency and child psychiatry fellowship at Emory University School of Medicine. She also earned a bachelor's degree in psychology from WVU's Eberly College of Arts and Sciences and a master's degree in counseling psychology from WVU's College of Education and Human Services. She was inducted in 2007 to the West Virginia University Academy of Distinguished Alumni. Harris has diverse experience as a private practicing physician, public health administrator, patient advocate and physician spokesperson. During her entire career, Dr. Harris has been a leader in organized medicine to ensure the voice of physicians and patients is represented in healthcare transformation. First elected to the AMA Board of Trustees in 2011, Harris has held the executive offices of AMA board secretary and AMA board chair. Harris will continue to serve as chair of the AMA Opioid Task Force, and has been active on several other AMA taskforces and committees on health information technology, payment and delivery reform, and private contracting. She has also chaired the influential AMA Council on Legislation and co-chaired the Women Physicians Congress. Prior to her AMA service, she was elected to the American Psychiatric Association Board of Trustees and president of the Georgia Psychiatric Physicians Association. She was also the founding president of the Georgia Psychiatry Political Action Committee. In 2007, Harris was selected Psychiatrist of the Year by the Georgia Psychiatric Physicians Association. As chief health officer for Fulton County, Ga., Harris spearheaded efforts to integrate public health, behavioral health and primary care services. Harris also served as medical director for the Fulton County Department of Behavioral Health and Developmental Disabilities. Currently, Harris continues in private practice and consults with both public and private organizations on health service delivery and emerging trends in practice and health policy. She is an adjunct assistant professor in the Emory Department of Psychiatry and Behavioral Sciences. Following a year-long term as AMA president-elect, Harris will be installed as the AMA president in June 2019.